Landfills remain the most common way to dispose of municipal and industrial waste. While the recycling rate of waste has steadily increased, so has overall waste volumes in the US. Disposing of waste is costly — the average cost to landfill trash is $50/ton in the U.S. This cost has steadily grown from $8/ton in 1985 and shows no signs of dropping. This means continual increases in corporate and municipal budgets while landfills get higher and higher. Waste gasification provides an opportunity to divert waste from landfills and use it in clean energy production, keeping landfills from growing and reducing landfill fees. As organic materials like wood and sewage sludge are gasified, the chemical process creates a clean syngas, a fuel that can then be used like natural gas. Compared to other waste-to-energy methods like burning, or incineration, the gasification process allows the syngas to be cleaned of contaminants prior to its use. Incineration plants do attempt to clean their emissions, but it is done “post-combustion, making it harder to capture and isolate hazardous emissions. Creating syngas through gasification is almost like closing the circle, or closing the loop, on waste’s lifecycle. 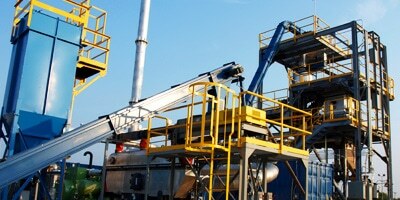 The energy embedded in the waste can be used to power engines that generate electricity. 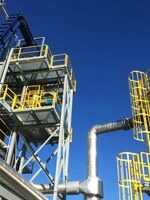 Gasification can be one of the tools used in our shift to a lower carbon economy. In particular, the gasification process releases no GHGs as landfilling and incineration of waste do. When trash sits in a landfill it releases significant amounts of methane as it decomposes. If this methane isn’t captured, it goes into the air where it is 30X –- 3000% – more potent as a heat trapping gas. The landfill process also requires a lot of trucking of waste materials, which also contributes to its greenhouse gas emissions. If gasification plants can tap into readily available waste nearby, they can reduce emissions from trucking as well. In the gasification process, the input waste is not a fuel, but a feedstock for a high temperature chemical conversion process. 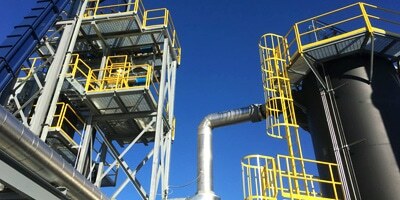 Gasification has several advantages over traditional combustion processes for waste treatment, including that it takes place in a low oxygen environment that limits the formation of dioxins and of large quantities of SOx and NOx. 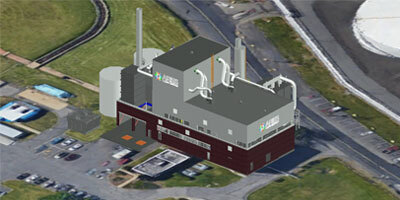 Gasification is continually becoming favored over incineration because there is no burning, and significantly less toxic emissions, in the process. In contrast to other waste-to-energy options like incineration, gasification does not produce ash. Incineration on the other hand, produces an ash that is sometimes used to cover landfills, but must be carefully controlled to manage leaching of harmful chemicals. 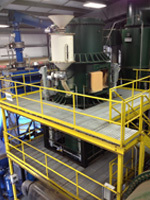 Again, gasification helps close the loop on waste materials by creating a byproduct with another valuable life. One of the main priorities in closing the loop on waste is losing as little energy in the process as possible. Of course, given the laws of nature, this is hard to do. Thankfully, gasification has allowed the approach to waste-to-energy to get an upgrade. 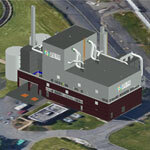 On average, conventional waste-to-energy plants that use mass-burn incineration can convert one ton of waste to about 550 kilowatt-hours of electricity. 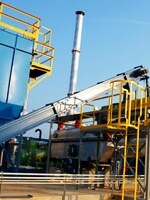 With gasification technology, one ton of waste can be used to produce up to 1,000 kilowatt-hours of electricity. If this waste were to sit in landfills, we’d certainly lose a lot of the energy it contains. Gasification gives us a huge energy benefit – we can reclaim more energy while powering a cleaner world.